The Kansas City Business Journal named Seyferth Blumenthal & Harris LLC (SBH) Members Michael L. Blumenthal and Charlie J. Harris, Jr. to the 2018 Best of the Bar, the publication’s 17th annual listing of the metro’s top lawyers in private practice. For the second straight year, a panel of five judges selected the award recipients. The new system results in a narrower group of honorees, and only 56 attorneys were named to the 2018 Best of the Bar. Attorneys are selected based on their work in the legal industry and community involvements. Recently elected a Fellow in the College of Labor and Employment Lawyers, Blumenthal achieved notable courtroom successes in 2017. 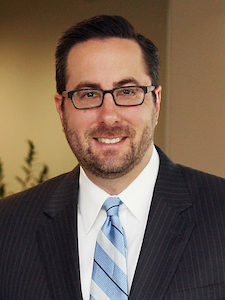 He helped obtain the dismissal of First Amendment retaliation claims against two university administrators in an issue of first impression before the Eighth Circuit Court of Appeals and served on a SBH team that obtained a $203 million settlement for the Health Care Foundation of Greater Kansas City in a lawsuit against HCA, Inc. This year, Harris led a team representing Jackson County, Missouri, in a highly publicized employment discrimination case involving a civilian working for the Jackson County Sheriff’s Office. 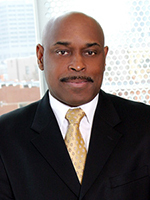 A series of incriminating depositions Harris took led to the resignation of Jackson County Sheriff Mike Sharp, and after her deposition, the plaintiff dismissed her lawsuit with prejudice and received zero compensation. Harris also successfully argued an important joint employer case before the Seventh Circuit Court of Appeals on behalf of one of the country’s largest manufacturers. Blumenthal and Harris will be profiled in a special section of the Kansas City Business Journal set to publish in print and online October 26.